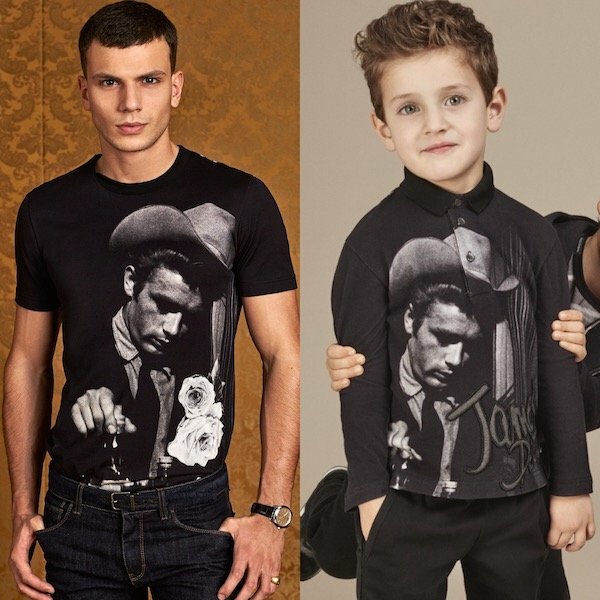 I'm loving this Dolce & Gabbana Mini Me boys black and grey 'James Dean' that's part of the stylish theme of Sicily meets the classic Western. Stylish streetwear look featuring this photographic print of legendary 1950's Hollywood actor, James Dean as a cowboy, with logo embroidery. Complete the look with a matching black James Dean sweatshirt and black sweat pants. Inspired by the D&G Men's Runway Collection at Milan Fashion Week.